A step-by-step guide to generating the leads you need to meet your revenue goals. Marketing plans are designed to serve as a road map for client acquisition, client retention, and brand building. While many remodelers have executed a series of marketing tactics over the years, it may not constitute a cohesive marketing plan. Consumers are now in control—they want to buy, not be sold. They can easily use the Web to gather ideas, get a sense of pricing, and read reviews and recommendations—they can even find out about a business owner's background, certifications, and experience. This may seem unsettling at first, but it's actually good news. It means that if we do things right, we can provide consumers with exactly what they're looking for. We've all shopped online and seen the message, "People who viewed this product also viewed these other products." If you follow these seven simple steps, you will be that much closer to a marketing plan that capitalizes on that type of consumer behavior. Less is always more. It's very difficult to be all things to all people. Instead, identify who your ideal target prospect is. In my experience, past clients are the best indicator of who future clients will be. So a safe first step when building a marketing plan is to evaluate your database of past clients. If you have a large database (1,500 clients or more), you can upload it to a third-party company that will provide demographic and psychographic analysis of your past clients. Companies such as Axiom Personicx and Claritas will do this for a fee. For a small database, you can do this yourself (see box below). You can go into more detail in any of these categories. For example, you might discover that particular vocations or professions—doctor, lawyer, or teacher, for example—appear frequently on your list of past customers. If other factors align (especially project type and profitability), this information may help you zero in on your ideal client (as well as show you which client types to avoid). No marketing plan is relevant without a clear understanding of the competitive environment. Not every company that does similar work in your area will be a competitor, but consumers have alternatives in every market. Some are "indirect competitors," of which there are a vast number. These are smaller contractors, many of whom don't have a payroll and carry little overhead. They offer lower pricing and sometimes allow homeowners to buy materials directly. Your concern should be with "direct competitors"—those re-modeling companies that are licensed, have payroll, have earned industry certifications (including lead-safe practices), and so on. They offer the same services in the same geographic areas as you do, and they have a tangible presence on the Web. These are the companies you need to identify. One easy way to do this is to conduct a Google search using keywords that apply to your niche—for example, "kitchen remodeler in San Jose" or "design build firm in Toms River New Jersey." You can also use information from their website to develop a spreadsheet matrix that creates a side-by-side comparison of basic information, such as years in business, type of work, certifications (both required, like LRRP training, and optional, like association or manufacturer certification), service areas, process (free estimates, design agreement required, etc. ), depth of team (check their "About Us" page), and project examples. Create a profile of past customers who share similar traits. give it a title and write a one- or two-sentence description, then list the attributes that distinguish members of this group. Noting which marketing tactics were suddessful with this group in the past will give you some idea of which tactics to use to attract future prospects with similar traits. Also be sure to visit their social media sites to get a sense for the quantity and quality of their followers. You can also take it a step further and type their company name into a search engine fol¬lowed by the word "reviews" to learn about their online reputation. Most of the marketing remodelers do is too predictable. A typical remodeler's website has a photo of a beautiful project, with copy highlighting years in business, certifications, type of work, warranties, process, and a call to action. But as your competitive analysis will show, everybody highlights the same things. Your goal is to find out how your company differs. Spend some time thinking about why homeowners have chosen you in the past. Instead of simply identifying features, look for emotional reasons why consumers should call you versus others in your market. For example, it may be that you are easy to work with when it comes to helping with choices. Or you may be perceived as honest because you offer price transparency. Or you may be seen as accommodating and considerate. Often company owners are too close to their business to truly identify a differentiator, so seek help to get a fresh and genuine perspective. This can come from past clients, trade partners, suppliers, lawyers and accountants, even non-competing remodelers. A marketing "campaign" refers to your messaging, plus the look and feel of everything that bears your logo, such as print materials, websites, emails, vehicles, radius mailings, and so on. In other words, a campaign is the execution of your differentiator. Set up a spreadsheet to calculate the number of leads you need using your revenue target, average job size, and close ratio. To estimate your marketing budget, first determine average cost per lead (historical marketing expense/total leads). This exercise can be repeated throughout the year as your lead flow fluctuates. What's the story behind your differentiator? Is it warm and fuzzy? Is it approachable? Are you implementing innovative practices? Are you in business to support your local community? Whatever it is, your marketing messages need to unpack this story in a way that consumers understand and appreciate. Your campaign needs to do the same. You need to execute your value proposition clearly in a way that effectively represents your brand promise. Is it serious? Humorous? Approachable? Elite? Fun? Once this is defined, you may need to seek the services of a professional graphic designer or creative director to put together your initial format. You can't determine how aggressive your marketing strategies and tactics need to be until you know how many leads you need. Sometimes you may need to implement only tactics that generate more referrals or repeat business from your past clients. Other times you may need to focus just on increasing your average job size or close rates. At yet other times, you may need more qualified prospects from other geographic areas. The table above is an example of a simple way to calculate lead projections and a marketing budget based on sales targets. One of the biggest mistakes I've seen in marketing in the home improvement category is when a company depends on too few tactics. Consumers need to be exposed to a variety of media before they even remember you. Think about creating three separate marketing mixes: one for client retention, one for client acquisition, and one for branding. Client Retention. Always begin planning by thinking about how you can remain top of mind with homeowners who have used you in the past. Historically, they have a higher close rate and larger aver¬age job size than new prospects. Basic tactics to consider include newsletters, formal referral programs, open houses, end-of-project gifts, holiday cards, and requests for online reviews. Sometimes the return on these efforts alone, if executed properly, may get you the results needed to hit or exceed your lead projections. Client Acquisition. 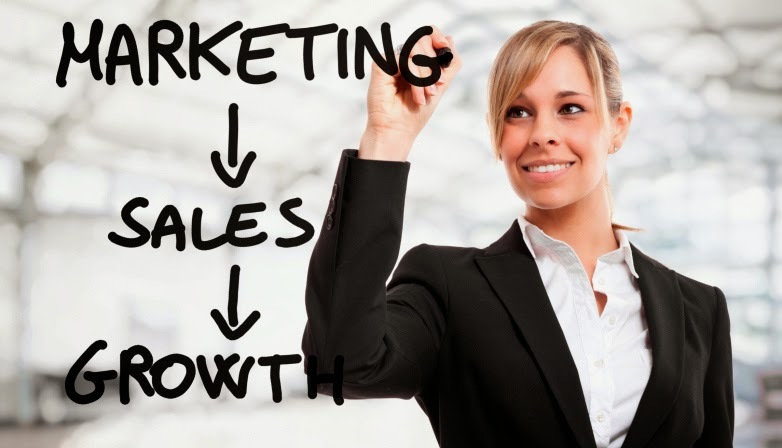 Next create a marketing mix to attract new prospects. Tactics in this category should be executed to generate qualified leads, and can include search engine optimization, pay¬per-click, radius mailings, Home Owner Association print ads, events and home shows, consumer seminars, and even radio and television, depending on your target market. Branding. The branding marketing mix may not generate leads, but it will keep you visible in your market and cement your market positioning. Tactics might include press releases, contributed articles, local sponsorships, outdoor advertising, pumpkin giveaways, dumpster days, or display advertising in high-end magazines. The effectiveness of marketing tactics changes over time. Something may work for a while, then stop working before becoming effective once again. Keep track of where every lead comes from, then review the effectiveness of all your tactics regularly. If something isn't working, stop using it and try something else. Review tactics at least quarterly - more frequently if you use many different tactics or need to generate a large number of leads. simple spreadsheet to track lead sources. Create categories that match your marketing plan under client retention, client acquisition, and branding. Knowing where your leads are coming from will give you the confidence you need to discontinue some tactics and expand on others. Go one step further and track your cost-per-lead by attaching marketing expenses to each lead source.